Douglas P. Eikenberry : Umpqua Investments Inc.
Doug joined Umpqua Investments in 2009. He is part of a team consisting of Tinh Nguyen, Lee Melvin and his assistant Colleen Schriever. Between Doug and Tinh, they have over 50 years of experience as financial advisors. Their business is focused on high net worth individuals, business owners, and corporate and charitable foundations. The team's specialties include investment management, retirement planning, education planning, managing concentrated equity positions, insurance planning and liability planning. Doug had enjoyed a 16 year career as a Financial Advisor prior to joining Umpqua Investments. He maintains his membership in the Oregon Bar, is a CFP®, is FINRA Series 7, 63, and 65 licensed as well as insurance licensed. 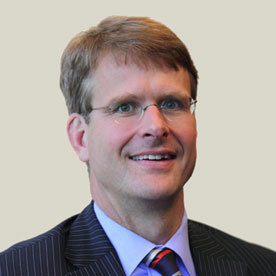 Doug graduated from the University of Oregon Law School in 1992. He graduated from Lewis & Clark College in 1984 with a Bachelor of Science degree. In association with George Washington University, Doug spent a semester in Washington, D.C. studying economics, politics and art history in 1982. Doug graduated from St. Anns School (Brooklyn, NY) in 1980. Doug grew up in Brooklyn, NY. He and his wife Dawn have three children and make their home in Portland, OR.